The term “app strategy” does seem somewhat vague so what does it actually mean? In short, what Gallus Golf are doing is combining forces with these 200 courses to produce each courses own, personalised app which not only links in with the golf course itself, but also links in with the more social aspect of the club, incorporating a presence on Facebook and other Social Media into it, as well as being able to organise club tournaments and functions through the app, all updated in real time. Now, in terms of technology, this new app is nothing groundbreaking. There are several apps on the market today that boast course information on over 35,000 courses from all over the world and which can also give you, with an accurate GPS enabled device, distance readings from your current position to the green. Indeed, many apps can also be integrated onto Social Media sites or used to keep real time scoring for any real or virtual club events that may be taking place. As such, why would having your own course app then fit into what is an already competitive, and some would argue saturated, market? Why would an app for your own Golf Course work? It’s certainly a good question to ask; if 200 clubs are going to invest cash in developing an app explicitly for use on their own course for their own members and guests, then it needs to have something special that other apps do not possess and this is where these apps certainly have the potential to offer something the others do not. It is certainly true that for each of the 200 courses signed up to the Gallus Golf initial scheme, their details may already be stored on golf databases used by other App software. However, if Gallus Golf approach this in the right way, they can offer golfers at the club something that the other apps do not. Clear, locally sourced knowledge and guidance about how to actually play the course, not just the distances between the shots and how the hole looks. It is this vital course management aspect of these new apps which is most exciting to me. Other apps can certainly tell me how far I have hit a shot and how far I am away from the green and where the hazards are, but they lack the detailed knowledge of local golfers and club members to explain to me the best way to play a hole. 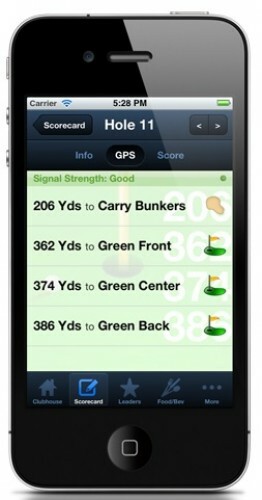 If Gallus Golf can tap into this, then I can foresee a big demand for these kinds of apps. If courses can get their app made relatively cheaply and easy to access and download, then what better way for a golfer to prepare for a round than by downloading the course and being able to see, not just the distances of holes, but also the advice of paid up members and club professionals on actually how to play the course. Where to place your tee shots and where to avoid hitting the ball if you want to record a good score? Of course, all the interactive and social elements of the app will make it easier for club competitions and as more and more people use their phones and tablet devices out on the course, these apps are only going to grow in importance and usefulness. Yet at the end of the day, golf is still a game played by a man or woman, on a course, with a ball and knowledge of how to play the course you are on, is arguably the most powerful ally any golfer can have. 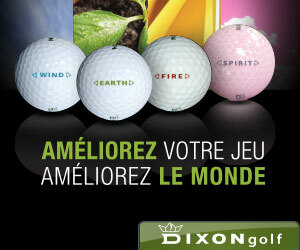 If Gallus Golf can deliver that for each of their 200 golf clubs, they may just have a verifiable hit on their hands. Nice post. You put a nice twist to it. Well put Tommy.